Fumbling around for your near-vision glasses to read the tablet screen? University researchers may have come up with a way to alleviate that problem. Scientists at Massachusetts Institute of Technology and University of California, Berkeley, have developed technology that could lead to displays automatically adjusting to a person's far-sighted or myopic impairments. If the technology is used successfully, users won't need glasses or contact lenses for TVs, e-readers, tablets or other forms of electronic displays. People spend more time looking at displays than ever before. The benefit of the research is that it in a sense puts glasses into the display itself, says Gordon Wetzstein, a research scientist at the MIT Media Lab. Glasses are generally worn because of an inability to view images or text at a certain distance and angle, and lenses adjust the light flowing into the eyes to correct vision. The researchers managed to use a 3D display to generate virtual images to adjust for distance and angle, thus reducing the need for glasses or contact lenses. Visual impairments may differ in left and right eyes; the researchers used a 3D display because it could project different images to each eye. Doing that and simultaneously tailoring pixels to display full-size images was a challenge, but researchers said a novel algorithm resolved the issue. The research is a further evolution of the technology used for a glasses-free 3D projector, shown by MIT earlier in May. 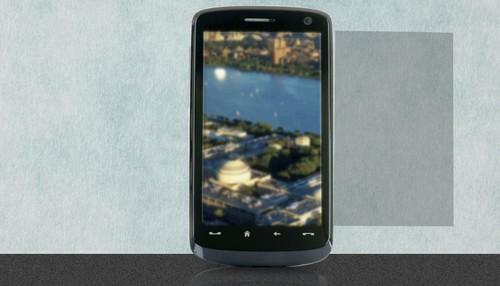 Researchers used 3D display technology from MIT Media Lab's Camera Culture group. Researchers will present a paper on the new display technology at the SIGGRAPH conference in Vancouver from Aug. 10 to 14.